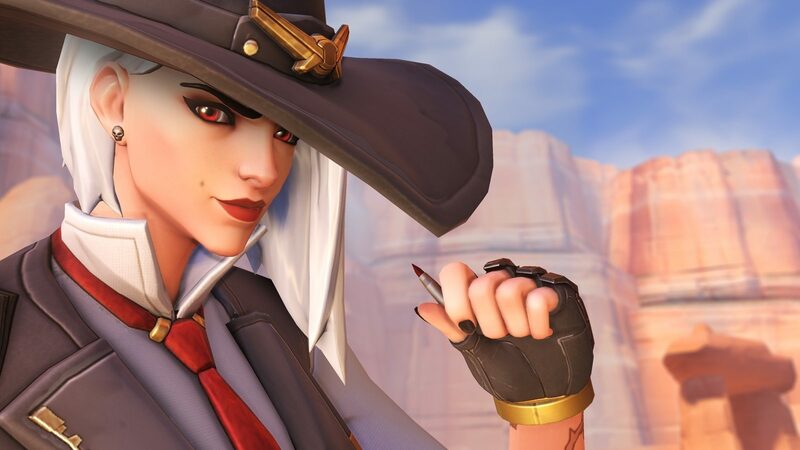 Newcomer Ashe has been marinating in Overwatch since November 13 and now the time has come to bring her to competitive play. In case you forgot, Blizzard added in a restriction for debuting characters that prevented them from immediately bursting into competitive modes for several weeks, smartly ensuring that just in case they missed anything they could get a handle on it. Based on pure quick play data, some winrate charts put Ashe near the top, indicating her success in the mode (which could change once more skilled players figure her out or build against/around her). Her dynamite's damage-over-time (DOT) won't kill as many people when they have an on-point healer, for instance. For what it's worth Ashe is a fine hero with a fantastic ult and I can't wait to see if she has an impact on the competitive meta. Based on what I've seen/played of her so far I feel like she'll fit into a lot of team comps with her multi-range style over a few other characters, like Soldier 76.